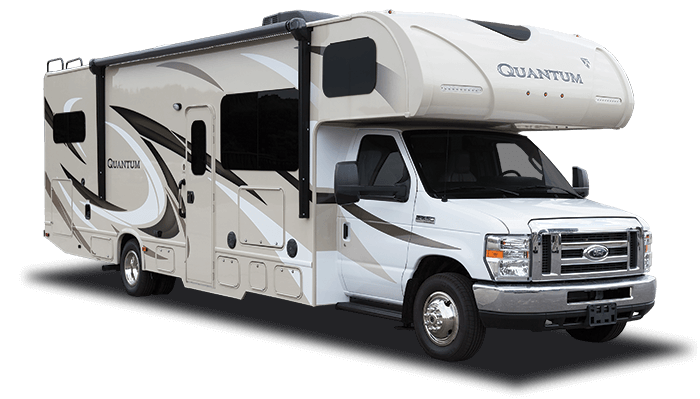 Quantum motorhomes by Thor are priced to fit anyone’s budget and come filled with tons of great features. Drivers will love the touch screen in-dash radio with CD/AM/FM Bluetooth and backup monitor. Take along almost any vehicle on your RV vacation with an 8,000lb trailer hitch. Entertain in style with features like Leatherette furniture and LED lighting. Stay powered up with an Onan RV QC 4000 gas generator.